Love. Live. Love. : Are you teaching or controlling your child? Are you teaching or controlling your child? Does your child want to interfere in your daily house hold tasks? Does your child want to put her hand in the flour, try the knife, make some noise in the kitchen, handle the scissors? Do you find yourself always reacting with a sudden 'No! Don't do that'? In all that your child wants to do, it is important to look for the intention behind her activity. It is only that she finds something new, being curious by nature, wants to try her hand at it, wants to learn how things work out. She would have been more happy if we showed her what that is and taught her how to handle it. It boosts her confidence, it boosts her trust in the parent, it boosts her self-esteem. Is your crawling baby pulling down all the utensils in the kitchen and making sound? Show her how to make sound in a pattern. Give her a combination of plastic and steel bowls/spoons and ask her to notice the difference between the sounds she hears from plastic and steel. Give her few cups so that she could stack them up and punch them down. Give her some seeds, two bowls so that she could play pouring out. Is your baby who is months old trying to pull out the kitchen cabinets and you are scared she could hurt her finger unknowingly? Teach her how to handle the drawer.Show her where the handle is, tell her that it is called as handle and that we need to hold it to pull it out or push it in. Explain to her that holding the drawer in any of the edges would hurt her finger. Show her while you try to gently close the drawer with your finger at the edge and then saying 'ouch, my finger was on the way and it hurts'. Are you worried that she may keep opening/closing the drawer continuously? Well, you should let her understand the main purpose of drawer. Show her the things that could be stored in it. Tell her that we open a drawer only if we need to take something out and close it once our work is done. When she is trying to open the drawer, ask her what item she is interested to take from it, this provokes a thought in her gentle mind. If she answers, ask her to take it and close the drawer back. Mostly, she won't be able to answer what she wants concretely, in that case, following your question, suggest something too, would you want to take this spoon? Okay, take the spoon and put back the drawer. That is it! You are done. Is your baby who just began walking picking up stones/dirt along her way as she walks? Do not immediately scream 'No!' and forcibly pull it out from her. Be calm. Okay, she picked up a stone. She was walking over and she spotted something on the way that she wanted to put her hand on. Be quick in reaction but don't panic, Before she wants it to put the stone in her mouth, come up with something like this.Oh, you picked up something! Do you want to look at it'? What is it? Just have a look and see how it feels. Oh! It is a stone, it is very hard and it is not clean. I don't think we can eat it. Just have a look at it and throw it away because it is not something we eat. You could then give examples of what we eat(like you can quote some fruit that your child likes). What do we usually eat? We eat apple, grapes, rice, curd, etc. But, this is neither an apple nor rice, we cannot eat it. Does your baby try to put her hand in hot (not very hot, of course) water as the bucket is being filled up for bath? Show her the water, ask her if she wants to know how it feels, suggest her she could quickly dip in her finger and remove. Ask her if it is too hot. Tell her you could add some cold water to it to make it warmer. Does your child want to handle scissors/knife? Well, you may need to wait for a while, but, 2 year old can be taught to handle scissors and knife (could be butter knife, or need to be more careful if it is the original knife). Is it very cold and your child refuses to put the sweater on? Last night it was very cold and A refused to wear her sweater for sleep. I put it on after she fell asleep. In the middle of night, she felt the zip to be uncomfortable and asked me to take it off. I did what she said. Also, she moved out her blanket. I didn't put it back on her. And it was still cold. After sometime, she asked for the blanket because she realised she was feeling cold. This - leaving it to your child to realise the purpose and importance of things we use is very important. Do not always force your child to be your way. Of course, if it is very cold, we try to put some winter wear on, but, make sure you try only to a limit. Does you child try to meddle with the cylinder or tries to reach up to the stove in kitchen? These are not something that we intentionally keep at a child's reach, yet, I see my child trying to reach the stove when I am there. Explain to your child, stove is something that is very hot and dangerous. We cannot touch it with bare hands. It is very hot because we use it to cook rice and vegetables. Does your child stop by the walkway when you want to continue without interruption? Go by her lead. Stop by her side. Ask her what she wants to observe. Ask her if she's hearing the birds chirping. Talk about the grass, the sky, the water and the clouds. Because, not every time does your child want to listen to these so-called trivial things in life. 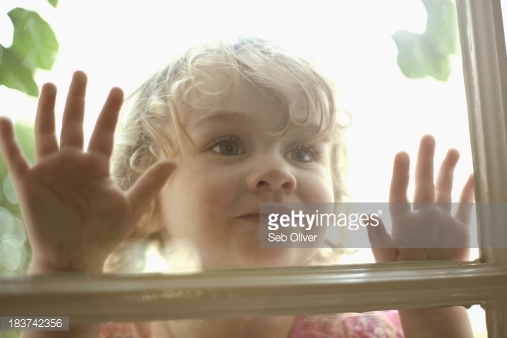 Does your child stop by the window that she spots along the walkway? Show her the reflection on the window pane. Tell her that there is shadow only when there is light. Explain to her what reflection is. Remember to keep your tone low and rhythmic all this while. You have to speak in a frequency that the child understands, not your usual loud voice. I cannot really make the complete list of all that children try to learn, but, most of the time in a day, I can see A being curious about something and me explaining her about it. Give them the freedom to handle new things, by guiding them to handle the same in an organised manner. Their mental development is hampered when there is too much of control on what they should - shouldn't touch.